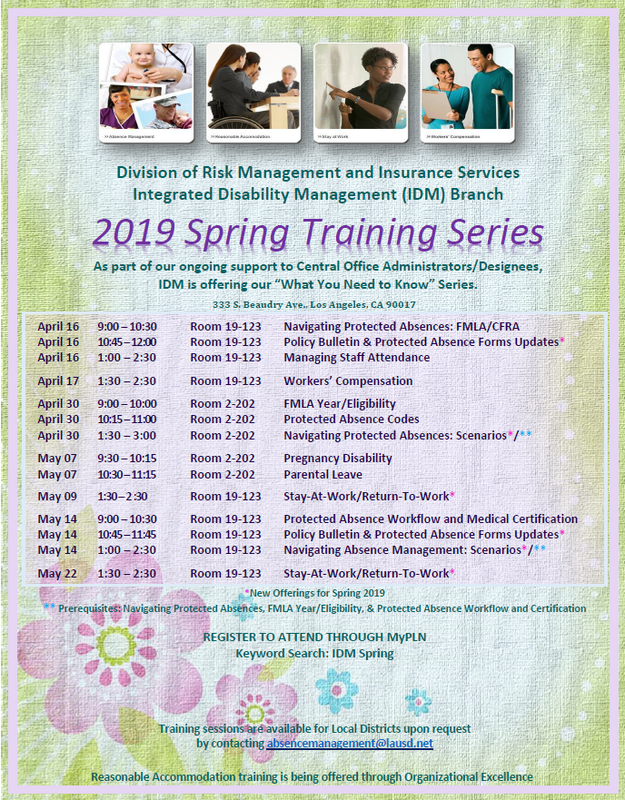 The Absence Management program is responsible for providing information about protected leaves, which includes the Family Medical Leave Act (FMLA), CA Family Rights Act (CFRA) and Pregnancy Disability Leave (PDL). Absence Management also coordinates the Employee Attendance and Donation for Catastrophic Illness (DCI) programs. Please select an option below the flyer for more information.